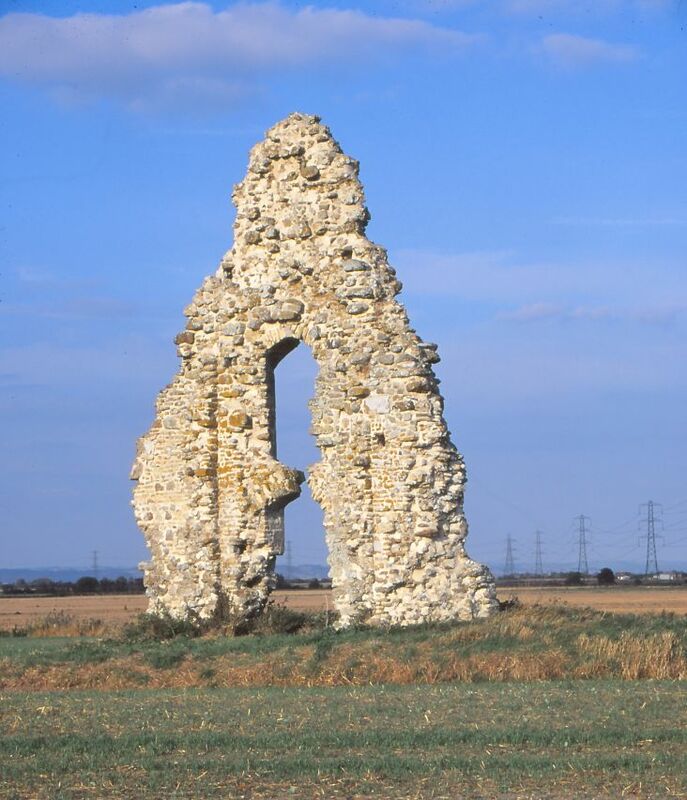 The Ruined Churches of Broomhill, Eastbridge, Hope and Midley on Romney Marsh all come under the care of the Romney Marsh Historic Churches Trust. It is possible that a church was built here in the 13th century. 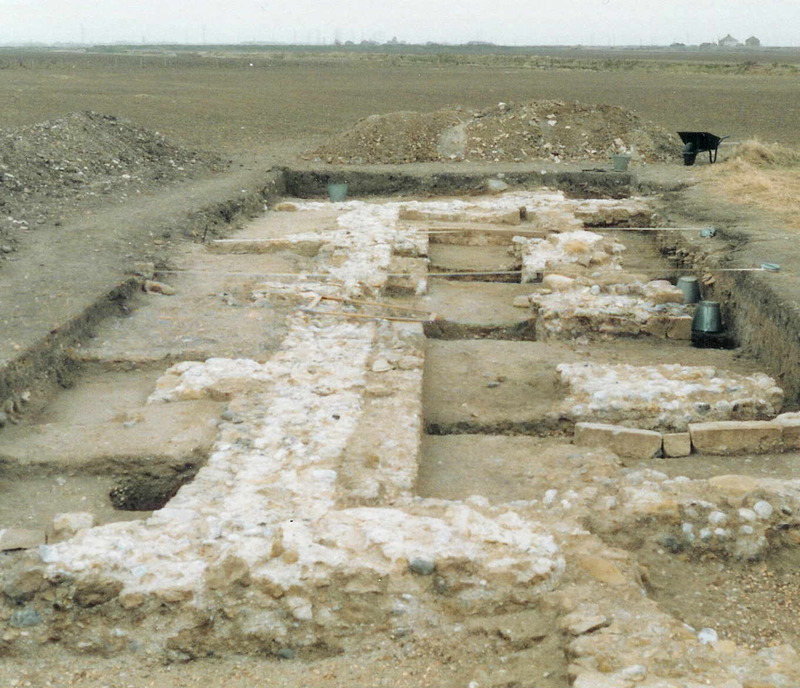 Excavations of the site in the 1980s revealed later stone mouldings dating from the early 15th century. 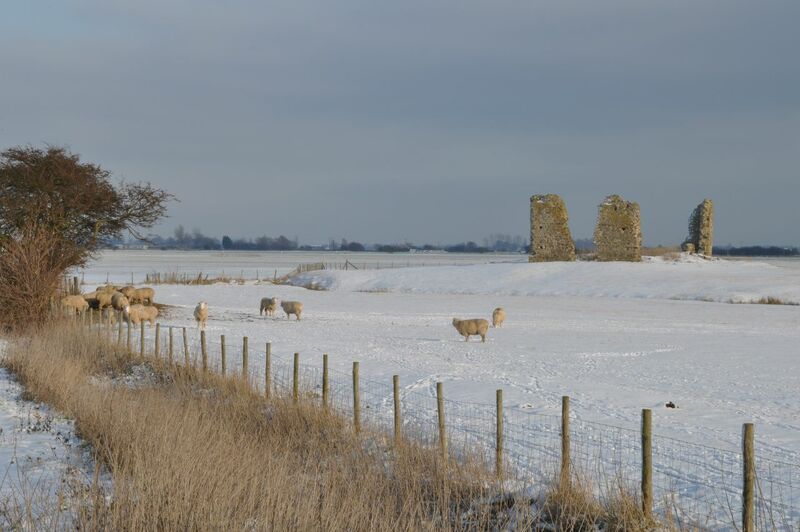 However, around 1500 the sea flooded Broomhill and, by the 1590s, the church was shown on maps as a ruin and is now just a scattering of stones. 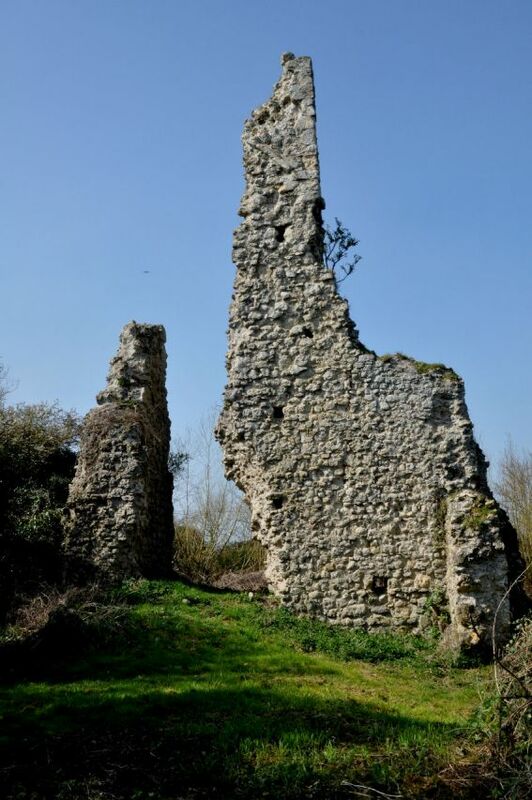 The lower walls of the 13th century tower and fragments of the 12th century nave walls still survive. Excavations in 1933 revealed a 14th century chancel set at a slight angle to the nave. The church was deserted by the 15th century. Six pieces of masonry wall are all that remain of this 12th century church. The building appears to have been updated in the early 13th century when the round-headed Norman doors and chancel arch were replaced with pointed Gothic arches. The church has been a ruin since the mid 17th century. Perhaps built on what was then an island, the west wall of this 15th century church remains standing with gaping holes where once there was a west door and window. The church is unusual in that it appears to have been built with stone and buff coloured bricks. By the mid 16th century it was deserted.